A bit of a mis-step is the best way I can sum up this album nicely. A hot mess would be the harsh way of putting it. I have followed Lil Wayne as long as I have been listening to rap music so I will always be a fan of him even when he drops albums like Rebirth. Everyone knows by now that Rebirth is Wayne’s experiment into a more rock and roll side of hip hop. I’d like to say it works, but it just doesn’t. Throughout this album I got the impression that Wayne was using his voice and the fact that he is Lil Wayne, one of the best rappers the world has ever seen, to get this album on par with his previous releases. The album gets off to a reasonable start and gives the audience a feel of what the album will be. American Star and Prom Queen are listenable songs, after that the album pretty much drops to almost painful levels. The only remaining positive is Drop the World which was one of my favourite song when I was still in school. 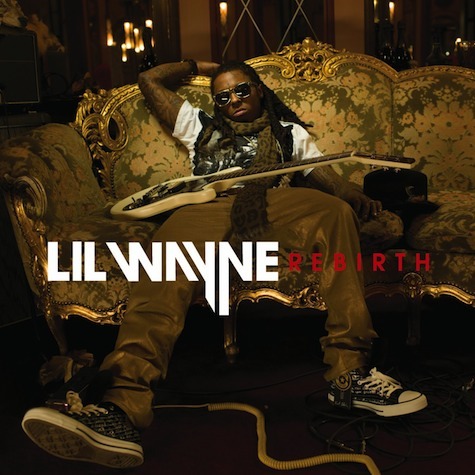 Overall this album is pretty much a mistake that shouldn’t belong in a discography as prestigious as Lil Wayne’s.